Quite a few of my readers don’t like social media, and don’t use it. Lucky buggers. One of the idiot things you miss out on is surveys. What happens is Mr Flat Earth does a poll, saying ‘Do you believe the Earth is flat or spherical?’ Mr Flat Earth’s followers, 99% of whom believe in a flat earth, answer ‘Flat’, and so Mr Flat Earth declares that the public has spoken and most people really believe in a flat earth, despite what the media tells you. Actually, this is unfair to flat earthers, who are probably well aware that their view is not widely shared. But it is how most political Twitter polls work. 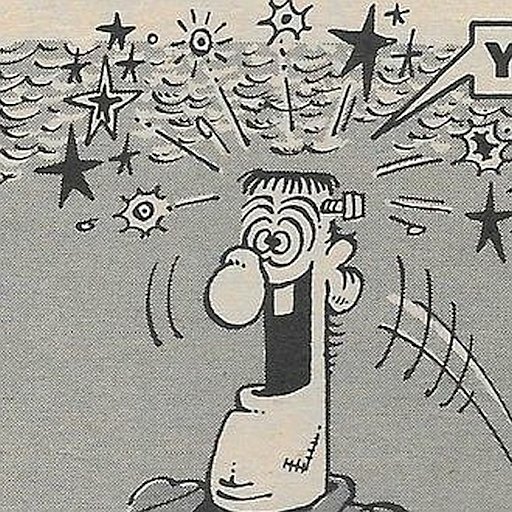 Mr Crazy for Brexit and Ms Crazy for Remain run their respective polls, which, not surprisingly given the nature of their followers, give 85% support for their views, and then they declare victory. The slightly less dim surveyors will say something like, “Well, this is not a scientific poll, I admit, but as a lot of people have answered, it’s probably close to being right”. Or they’ll say “Please retweet widely for a representative sample”. Of course the poll only gets retweeted widely amongst people with similar views, so a representative sample is most definitely not what they’ll get. Even if one of their enemies sees it they’re hardly going to engage with it. The less dumb but more cynical know all this but say “Retweet widely” anyway, because for them it’s really all about promoting themselves (something I wrote about recently here). Who should replace Guy Fawkes on the bonfire? Have your say. It has to be May, though, doesn’t it? I don’t think this is something is has been noticed much, but one of the key reasons why claims about anthropogenic climate change have been able to thrive despite a lack of serious underlying evidence is similar to one of the key reasons as to why alternative medicine has been able to thrive despite a lack of serious underlying evidence. What reason is that? Well, alternative medical practitioners have learned that they are best off making their claims in relation to conditions that naturally wax and wane. Homeopathists are not so stupid as to claim that they can fix a broken leg. Acupuncturists are not crowding around people brought into hospital with stab wounds saying they’ve got just the thing for that. Herbalists are not writing articles in their herbal magazines about how they can fix a ruptured kidney. The alternative ‘doctors’ prefer to treat people with conditions like back pain, skin conditions, depression, stomach problems, chronic tiredness, and other conditions which vary a lot over time (and also which are subject to some degree to a patient’s state of mind). When the natural variation results in the patient’s condition taking a turn for the better, this can be attributed to the marvellous medicine. Climate change works in a similar fashion. Weather and climate naturally wax and wane. Some summers are hotter than others, some colder. Some winters are hotter than others, and some colder. Some years are hotter than others, and some colder. The same applies to decades, and to centuries. Just as the alternative conman can turn ordinary fluctuations to his advantage, so to can the climate change flim flam artist, using precisely the same faulty reasoning, only instead of attributing the disappearance of the headaches to the reiki sessions, a period of naturally occurring warmer weather gets attributed to the use of 100 watt light globes. Episodes that don’t fit into the narrative are ignored – only the successes are reported and considered significant. In one way, of course, there isn’t a parallel, and that is that climate change gurus, instead of being scorned by the scientific establishment are rewarded with money and prestige and moral authority, when really they should be treated as on a par with bioelectromagnetic therapy practitioners, and drummed out of the academy. Update: Alternative doctors were a lot bolder in the distant past about claiming to be able to fix things that don’t naturally wax and wane, and it didn’t work out well for them – one notable example being the Bates Method, and the famous episode with Aldous Huxley. It was from episodes like those that they learned their lessons. Seriously, how much of a fool would you have to be to sign a contract offered to you by the EU? After all the thuggish behaviour we’ve seen them engage in? Now that it’s clear that they don’t represent the other 27 EU countries? Now that it’s clear that they’re an oligarchy who are only interested in their own power, and increasing their empire? How much of a bloody fool – or a knave – would you have to be to still sign the piece of paper they’re putting in front of you, knowing all that? Possibly the biggest fool – or the biggest bunch of fools – who have ever ruled this country since the beginning of recorded history. Update: Possibly even one of the biggest fools in the whole of history. At least the other countries who’ve signed humiliating deals in the past had no choice. Whereas our fools have no reason to, and have been clearly instructed by their countryman to get out of the EU, not to get further trapped by it. I cannot believe that our rulers are considering signing a contract that even a medieval peasant would recognise as a bum deal. All of which brings us to our second glimpse of the kind of deal a post-Brexit UK might expect from the US. On Thursday Lighthizer released Washington’s “negotiating objectives”, starting with “comprehensive market access for US agricultural goods in the UK”. Translation: they want the right to fill our supermarkets with their chlorinated chicken. I expect US chlorinated chicken is manky and green and tastes disgusting, don’t you? The only thing is this: when you go to the US, the meat is amazing. I’ve travelled around the US a lot, and being a meat fan, I’ve eaten a lot of meat there. In the big cities, and in the small backwater places. And it’s always good. Much better, on average, than the meat you get in the UK (although UK meat has improved a lot on the last few years). So the idea that we’re going to have our good old British chicken replaced by disgusting chemical meat, or perhaps rubbery tasteless processed pap, doesn’t really hold up, does it? Ren has brought a coffee from the cafeteria and is looking for a place to sit when he sees Miles at a table, so he goes over and plonks himself down next to him. Just as his posterior hits the plastic he realises that Lucius Birch, who is a Professor these days, is also sitting at the table. It’s an unpleasant surprise, but perhaps also the opportunity he’s been waiting for. Lucius, as haughty as ever, doesn’t look too pleased with Ren’s appearance. ‘You don’t have a black heart. Just an absence of a heart,’ says Lucius. ‘Feeding? All of us psychologists are living on nothing but coffee at the moment,’ says Miles, trying to change the subject. Ren puts a bit of an emphasis on the word ‘creative’, while looking pointedly at Lucius as he says the word. Lucius’s face gets a strange, perhaps slightly disconcerted, look on it in response. Interesting, Ren thinks. Time to probe a little further. 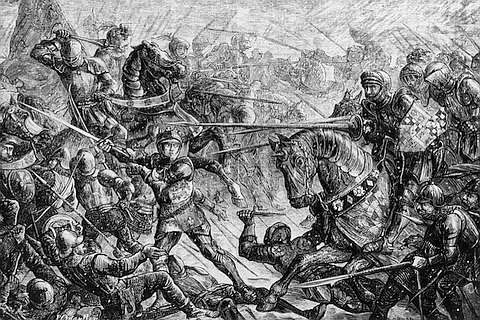 For centuries Britain was a place of continual wars between all sorts of tribes and factions. Fighting and rebellions were commonplace. Heads were regularly displaced from bodies. You hardly need me to give examples. It’s only in the last few hundred years that internal peace settled over the land, and that was mainly due to the British Parliament doing a reasonably good job of keeping a lid on things (for the most part). As a result, the British people have become averse to internal strife, believing that our institutions can be eventually trusted with leadership, and that our peaceful democracy is preferable to going to war again, even if that democracy has sometimes led in directions that many people have not been happy with. But now that Parliament and the Establishment are so clearly riding roughshod over the democratic will in regards to Brexit, that peace may be about to end. It’s not just Brexit, of course, there has been decades of festering resentment from people who’ve put up with the country moving in a direction they can’t stand, none of it with proper democratic approval. Brexit looks like being the proverbial straw, rather than a cause out of nowhere. The Establishment has bet the house on the British people being too complacent to do anything to stop them, because that’s the way they’ve been for a long time, but as I said above, traditionally Britain has been a warlike, blood-soaked nation, endlessly quarrelling over who gets to rule. Now that democracy is being revealed as a sham, those days may be about to return. A lot of people have sensed that Brexit is the last chance we have to stop the nation becoming transformed beyond recognition, and they’re willing to fight for that. The other side, meanwhile, will do anything to stop Brexit. We don’t know what form it will take, but that there will be some sort of civil war is now inevitable. Hopefully it will just involve the destruction of the existing political parties, and tearing the civil service a new hole. But Britain may turn into France, which – although the media won’t tell you this – is fast becoming ungovernable. After yesterday’s dark Brexit news it may seem hard to see the sunny side. But here’s the upside of Brexit being stymied. A new set of parties in power with very different aims, and a mandate to flush out the civil service and the BBC. But what would be best is if the Queen finally does something useful in her life and suspends Parliament for a few months. On this, however, I don’t have much optimism. She probably thinks, even if she wanted to do it, that it would hasten the demise of the Royal Family. But that family is rapidly going down the plughole anyway, so she might as well do something grand and have the Windsors go out with a bang. 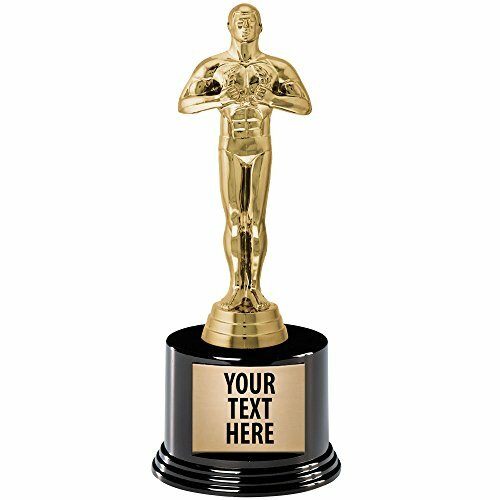 One thing I’ve just never understood is the appeal of the Oscars. When I was a kid it seemed the most boring show in the world, and Oscar night was just about the only time when I ever turned up the opportunity to stay up late. When I became a teenager I still couldn’t see the appeal. It’s an industry awards night, and while I can see why people in that industry, or at least those in the industry who were up for awards, would care, why would anyone else? Why do I want to spend three hours watching a select group of people in that industry deciding which films they liked that year, and crying a lot? I like architecture, but do I want to watch some architecture awards night? No. I like music, and books, but I have never wanted to watch an awards night dedicated to music and books. If you care about the results – which I didn’t, partly because I couldn’t care less about the films that were up for awards, and partly because I didn’t really care what Hollywood people thought about anything, let alone what films they liked best – read them in the newspaper the next day. That takes ninety seconds, and you don’t have to watch a lot of people walking up and down an aisle for hours, and gushing about how much this award means to them, plus a lot of ads. But everyone I knew seemed to think that Oscars night was a big deal. My parents, who weren’t normally people into that sort of thing. Everyone on my street. Even most of the kids at my school would watch it, even if they didn’t really care about who won. Why? It seemed to mainly be because it was Entertainment with a capital E, a razzle-dazzle, celebrity-studded big American thing, and this was the ordinary person’s chance to see all that glamour up close. But that glamour seemed to mostly consist of men in penguin suits, and women in ridiculous dresses, all sitting through an endless bunch of announcements, and a few lame jokes made by people they already knew. Which wasn’t really my idea of glamour. And this was back in the days when Hollywood did make kind of entertaining films. And they did try to entertain the audience at Oscars night, rather than hector and lecture them. Now… well, I would no more think of tuning into the Oscars then I would call the Communist Party of Great Britain to ask for advice on ethical investments. So what I would like is a newspaper that promises No Oscar News. No Oscars Stories. No Mention of the Oscars Ever. I just don’t care that a bunch of films that I’ve never heard of and have no intention of ever watching are up against each other in an awards ceremony. I just don’t want to know. I don’t care how many plucky Brits win an award. I don’t want to know about the latest Hollywood paedo scandal. I don’t even care to read about how corrupt the Oscars really are, because I worked that out myself years ago. If the Oscars are as corrupt as the papers say, why do the papers make such a fuss of reporting on them? It’s just the commercial film industry promoting itself, and a lot of luvvies getting political. It’s barely news. It means nothing. See a film if you want. But how about next year we replace the Oscars with the dry cleaning industry awards night? It’ll at least be a change in scenery. I think we can safely say that the media is deliberately causing UKIP to disappear. Sure UKIP’s support went down after June 2016, but that doesn’t explain the media blackout. The real explanation for that is that UKIP went a bit anti-Islam, and brought in Tommy Robinson as an advisor. That made it beyond the pale for the media, even the supposed conservative media. For instance, the only time I’ve seen the Telegraph mention UKIP in the last few months is to dismiss or attack them as hate-filled extremists and actual fascists — see here, here, here and here. Sadly, that tactic seems to be working. Nigel Farage is one who understands this very well, which is why he has distanced himself completely from the current UKIP. He is, after all, as the left is always telling us, very much an Establishment figure, and Establishment figures don’t want to be associated with street ruffians, or people that everyone at the golf club regards as akin to Mussolini. So, barring a No Deal Brexit and a subsequent mass desertion from the Conservative party by all the wet Remainers, this new Brexit party formed by Catherine Blaiklock may be the right’s best hope. However, Farage, who was supposedly going to front it, has been noticeably lukewarm since it was revealed that Blaiklock might have once criticised Islam herself. And for all the talk of 100 000 potential members and over a million donations, none of that is in the bag until it’s actually in the bag. What would cause an earthquake, though, is if Brexit gets delayed and all the Tory Leavers quit the party to join the Brexit party. That would completely change British politics forever. The Independent Group, on the other hand, has changed very little, they’re just a bunch of Remainer sore losers who were about to be deselected, and who will soon disappear from view. But all the ERG big hitters joining the Brexit party would destroy the Conservative Party overnight. May and her team, for all that they wish to frustrate Brexit, know this. They know that the ERG are willing to blow up the party if it betrays Brexit. That’s the one thing that the ERG have over May. 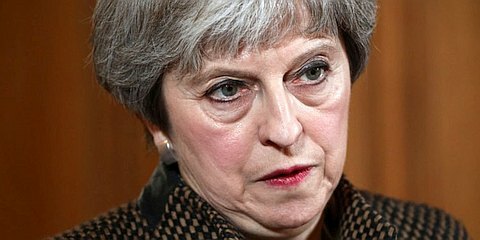 I hope that she’s scared of them enough to go through with a No Deal Brexit, because if she doesn’t she’ll be forever known as the leader that destroyed the most successful political party the UK has ever seen. when voters are given even a whiff of a new centre-Left party, they desert Corbyn’s Labour in droves. This is true, but think about how ridiculous it is. These voters will abandon the hard-left for third-way Blairist party. Yet they wouldn’t vote in a million years for Cameron or May’s Conservatives, who are as Blairite as you can get. That’s because the Tories are still perceived by many of these voters as heartless billionaire-lovers, and also because of tribalism — these sort of people just don’t vote for Conservatives, because that’s just not done. Actually, that’s not quite true — some of them did vote for Cameron’s Conservatives over Ed Milliband’s Labour. But they wouldn’t vote for May’s Conservatives even with a gun to their head, and this goes back to a central problem for Theresa May — although she’s very centrist, even left-wing in reality, she has this perception of being very right-wing amongst left-wing voters (I wrote about this a year ago, and it remains true). And that’s why the supposed ‘modernisation’ of the Tories that May has been engaged in ever since she called them ‘the nasty party’ has been such an abject failure under her. Modernisation worked to some degree under Cameron, because he’s superficially lovable and groovy, but it has totally failed under May, because (like Cameron) she alienated a lot of core voters who noted the swing to the left, but (unlike with Cameron) she failed to attract many centrist and soft-leftist voters, because they see her as a dismal, small-minded, authoritarian cow. And there’s a lot of truth in those particular objections, even if those people have not noticed how Blairite she really is. Modernisation can never work for the Tories while they have as a leader someone who is perceived by the voters they want to attract to embody the nasty party in person. You just can’t call yourself ‘modern’ when your leader reminds people of a snooty old curtain-twitching judgmental vicar’s wife from the 1940s. In contrast, Boris Johnson, despite the fact that so many left-wing Tory MPs talk about him as though he’s Hitler, is much better at embodying modernisation to the average voter than Theresa May is. For some reason Ren can’t get onto campus in his car today. There are witches’ hats blocking off all the entrances. He finally finds a parking spot off-campus and walks from there to the University. It’s not what he wants to do as his leg, although much better, still hurts if he walks too much. When he arrives he sees that there are police cars on the campus. He hobbles towards where the commotion seems to be. It’s the Psychology Building, which has been taped off by the police. He asks some students if they know what has happened. ‘I heard they liberated, as in kidnapped, the animals,’ says another student. Ren can’t get in to the Psychology building, so he goes to his office and rings Miles’ office, and then Miles’ home. Miles isn’t answering, but that isn’t a surprise, he’s probably got his hand full at the moment. He can’t raise him on his mobile either, so he sends him a text and an e-mail. He wonders whether he should inform the police about Andrea, but decides that Miles will be telling them about her, and he has a busy day with a lot of teaching on which he needs to get on with. When Ren gets back to his office in the late afternoon he sees on the internet a report saying that five people have been arrested in connection with the attack. Miles still hasn’t been in touch, but there’s no mention of any harm done to any psychologists, so he’s presumably okay. Perhaps he’s at the police station telling them all he knows about Andrea. Or is he lying low at home, pretending Andrea is nothing to do with him, and not answering the phone? By evening time Miles still hasn’t got back to him, so Ren drives around to his place. Miles lives in the suburb of Campdown, in a semi-detached house. His car is outside, so Ren knocks on the door. There’s no answer. He walks around to the back of the house, and tries the back door. It’s unlocked, so he goes inside. ‘Miles,’ he yells. He hears a rattling sound from upstairs. Like metal being shaken. He runs upstairs and opens the door where the sound is coming from. Inside there’s a metal dog cage on the floor of a bedroom. Miles is inside the cage, naked, and trussed up and gagged with gaffa tape. Miles stays still, his frightened eyes wide open, looking at Ren. Miles eyes crinkle in anger, and he shakes the cage as best he can while making what noises he can with his mouth. There are two places where a padlock could be fitted on this cage, on the upper and lower parts of the door. Only one padlock has been fitted, to the upper part. Ren can’t get this section to break, but he can force open the lower part of the door enough for Miles to squeeze through. Ren unwinds the gaffa tape from around Miles’ head. Miles’ hand are now free. The ropes around Miles’ feet are now cut. He gingerly gets to his feet, and hobbles off to the toilet. When he comes back, he’s still hobbling. ‘No, no and no,’ says Miles. Now, is geothermal heating akin to, for example, freeing the slaves? Is it so immoral to not use geothermal heating to heat your home that one can agree that Parris is doing the right thing by calling for the government to force us all to adopt it? Is he a modern Martin Luther King, only without the hidden sexual scandals, standing against evil and tyranny? Or is he just another fan of government force who wants it to be used in area he thinks he’s an expert on, whose arrogance will make us all worse off? When it turned out that geothermal heating wasn’t quite the miracle that Parris thought it was, he went very quiet about it. Funnily, enough, this is not something he mentioned in his recent Spectator article about ignoring the people because the government knows better. She had that old-fashioned pseudo-aristocratic Tory barrister manner down to a tee. ‘Lady Muck’ my mother would have called her. It’s funny to see her now pretending to be a ‘woman of the people’, when she comes across in person as the most top-down, self-obsessed, pompous, poo-pooing grandee you could hope to meet. And also one of the most duplicitous, though admittedly she isn’t a patch on Theresa May in this regard. Remember Drummond’s Law: whatever the left accuse the right of doing is something they’re up to themselves. Soubry and her Tory TIG mates are a case in point. They’re complaining about entryism into the Conservative Party. Which is, er… exactly what these disguised LibDems did when they joined the Conservative Party. And of course the problem for the Tories is not ‘entryism’, but ‘exitism’, as members have deserted the Conservative Party in droves since the likes of Cameron, May and Soubry became the new face of the party. If the ERG really did run the party you could expect new members to join in large numbers. So if a bunch of Labour MPs quit their party because it refuses to overturn the Brexit referendum, what they’re basically saying is that even Jeremy Corbyn is too democratic for them.